Manhattanhenge is an amazing coincidence of nature and the city where twice a year the setting sun aligns perfectly with the street grid of Manhattan in New York City. The result is a breathtaking view of Manhattan’s buildings lined with an orange glow radiating across the north and south sides of every cross street in the borough. 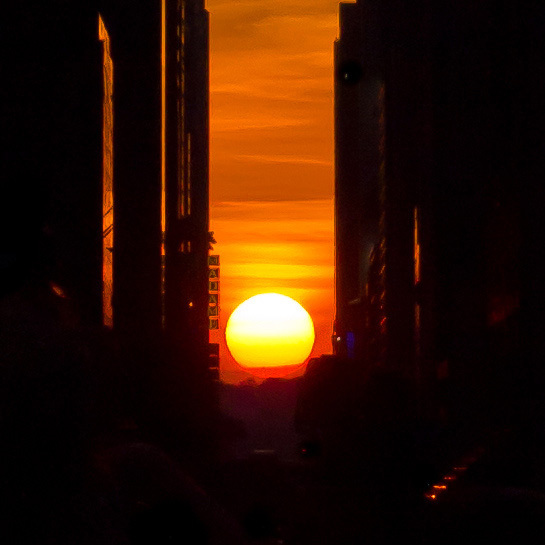 The term Manhattanhenge is derived from Stonehenge, where the sun aligns with the stones semi-annually during the solstice. 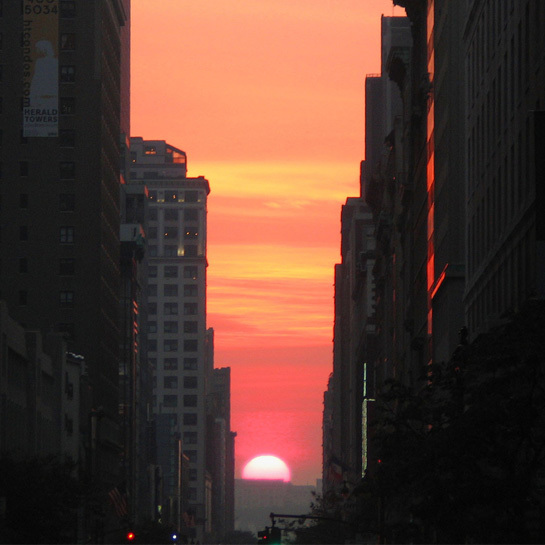 The dates of Manhattanhenge do not align with the equinox, as Manhattan’s street grid is rotated 29 degrees east from geographic north. Don’t forget to grab the mTrip New York City Travel Guide App to help you get around the city.